Are you looking for a way to go greener as a company? One thing you can do is work with a sustainable linen and laundry provider. At Republic Master Chefs, we want you to be able to run your business successfully without having to make too many sacrifices. That’s why we have improved our technologies and set a green standard for our textile services. And we know that being sustainable doesn’t just have to be about the environment, that it can actually help businesses like yours save money as well. Believe it or not, we do not have an unlimited supply of water. In fact, 844 million people do not currently have access to clean water. And pollution and heat waves are only making it harder to find suitable drinking water. At Republic Master Chefs, we don’t want to be the reason someone else can’t access useable water. This is why we are very aware of how we use our water supply. Through our Clean Green System, we’ve managed to reduce 60% of our water usage and recycle 35% of the water that we use, so we are not putting good water to waste. But it’s not just about the water that we use. It’s also about what goes into the water. Pollutants that leak into the water can make it unsuitable for future use. In the laundry business, this concern is especially prevalent because wash chemicals can easily contaminate water and therefore negatively impact our communities. That’s why we have switched over to NPE eco-friendly, anti-pollutant chemicals that have reduced the pollutants we discharge by 40%. Energy production accounts for approximately 28% of the greenhouse gases emitted in the U.S., including carbon dioxide, methane and nitrous oxide. What these gases essentially do is trap heat inside the planet which contributes to climate change. Just like with water, it’s essential to only use what is necessary, which is why we have found a way to reduce our energy usage through our Clean Green system by 30%. By reducing the amount of energy we use, we in turn reduce the amount of energy that needs to be produced to run our business. The same concept of reducing the amount of resources we take in can apply to purchases. 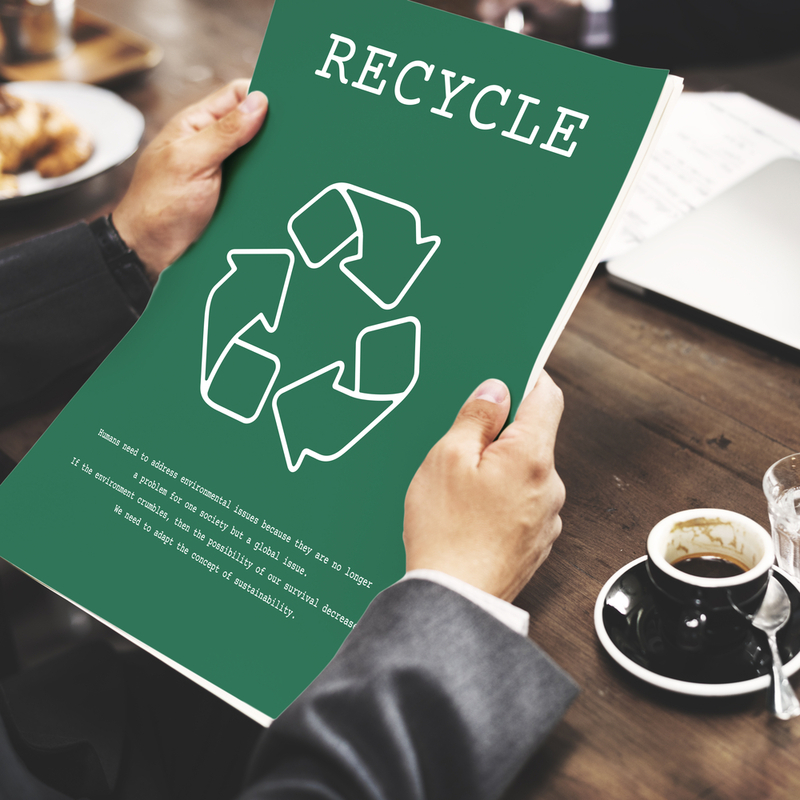 And while learning how to separate your trash between recyclables and waste is beneficial, the best thing you can do is reduce how much you’re taking in entirely. But what do you do with the items that your business does need, such as your linens and uniforms? The problem with purchasing these supplies is that there is a negative environmental impact in their production, and then when they’re not maintained properly, they end up in the trash headed to the landfill. When you rent your linens, you get a high-quality supply of products that are maintained for you, so you reduce the damage to your supply and make your linens last longer. This means fewer items that need to be produced, and if you get your supply through a sustainable laundry provider, you also know your supply is washed up to green standards. At Republic Master Chefs, we care not only about providing quality products, but also about how our services impact our friends, families, and community. We are dedicated to going green and providing high-quality laundry services that don’t contribute to a high carbon footprint. We focus on reducing our water use, energy use, and harsh chemicals while providing a quality restaurant linen service that is beneficial to both your business and the environment. It’s not hard to go green – you just need a little help from your local laundry provider! Contact us at Republic Master Chefs today at 800-640-2433 to learn more about how our linen services help you go green!